What is the difference between ALL-I and IPB frame rate options in Canon DSLR. 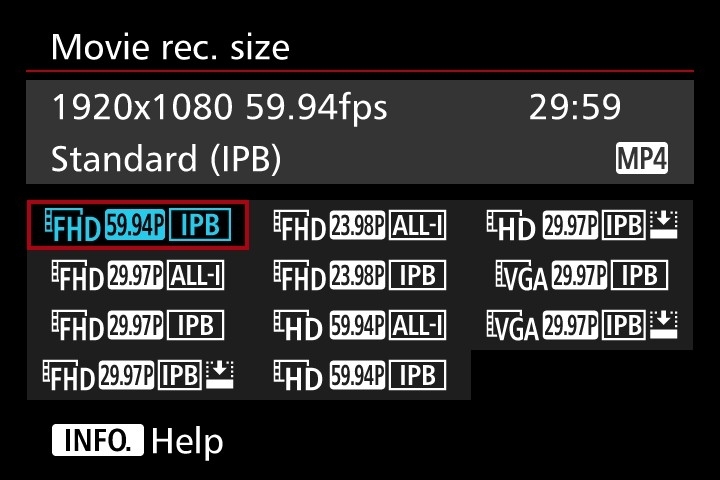 When selecting recording format in Canon DSLR, there are two options ALL-I and IPB associated with each frame rate. What are they? Let me try to explain the best I could. Modern video codec compression technology are more complicated than before. They are destructive compression, meaning, data removed cannot be restored 100%. In the past, video is compressed (remove data) that is within each frame. They are called Intra-Frame (I-Frame) compression. Each frame is like a JPEG photo. File size will be bigger but they are very NLE friendly. To compress file further more, they decided to put a series of frames into a one compression scheme. It is called "Group of Picture" GOP. With the GOP, some will be compressed by removing similarity of data from the current frame to a few frames back (B-Frame). It also reduce data by predicting how each pixel moves in the next few frames (P-Frame). This is the IPB compression. The more B-Frame and P-Frame in the GOP can make the file size smaller. So what's the impact,. if you load the video to timeline for edit, when you scrub the timeline, the computer will need to reconstruct the current frame by retrieving back a few frames from the current frame, and a few frames from after the current frame. It will cause a toll to the CPU. But now newer computer can handle them all very well. I shoot IPB. Even tho memory and HDD is not an issue. But the high IO data rate will also have a toll to the overall computer process time. And visually, most people can't tell the difference. To my understanding, if you need to do a lot of color processing, green screen etc, then shoot All-I . For weddings, I do IPB . its' enough.